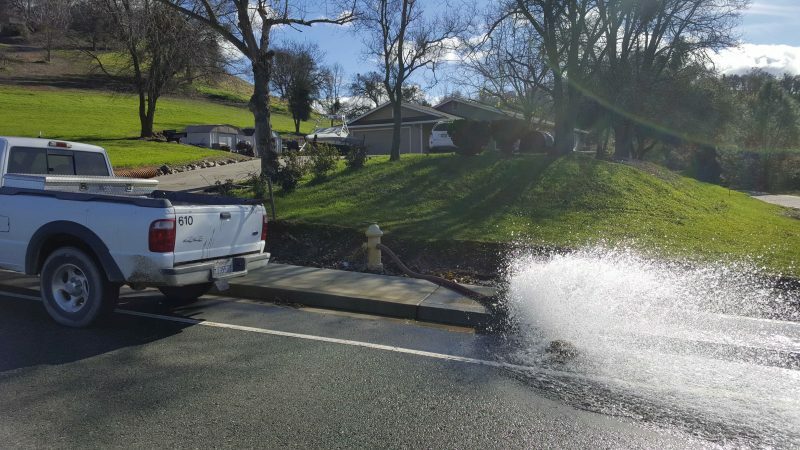 The Calaveras County Water District will be flushing its entire water distribution system in the greater Valley Springs area from January 23 through the end of March. These operations may impact CCWD customers in Rancho Calaveras, Jenny Lind Township, La Contenta and Gold Creek. Due to the large size of the system, CCWD crews will be systematically working their way through portions of the service area over a period of about 10 weeks. Flushing will take place between 8 a.m. and 3:30 p.m. on weekdays. Those with questions may contact CCWD Customer Service at (209) 754-3543 or customerservice@ccwd.org.